This is actually not the first time, I post a fruit and nut log on the blog. This special and delicious treat is a true Danish thing. Something, especially the Danish kids looove! My two year old son do. We might even talk addiction here! Yes, I’m a huge fan too, and this one doesn’t stay in the fridge for long in our house, because I’m always sneaking out in the kitchen just to get a tiny little bit of the log. Not as in all the time… maybe just 50 times a day! The best dried fruit and nut log for a little afternoon snack. Enjoy it on rye bread or as it is. Place all the ingredients in a food processor. Blend until you have a nice dough. 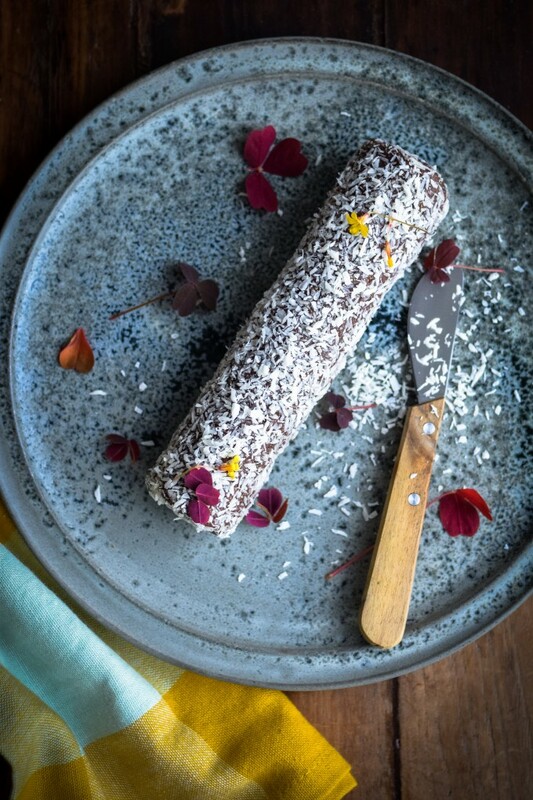 Form the fruit and nut dough into a log and roll it in coconut. Store the fruit and nut roll in an airtight container for up to two weeks. Although I have never managed to keep it for that long. It's gone in a few days!.. 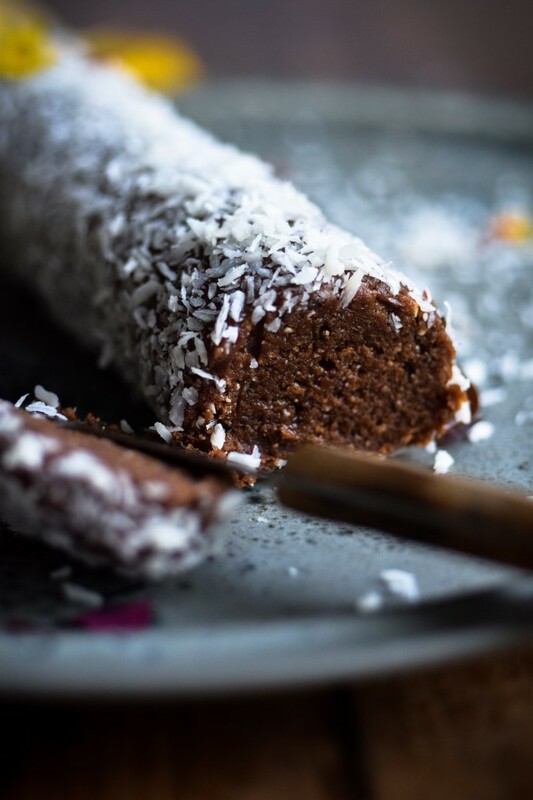 This fruit and nut log is my latest version of the classic Danish treat, but you can also take a look at my older version, which is still just as good. The only difference with this dried fruit log is the addition of raisins and almonds. But that’s actually one of the best things about this healthy, sweet treat, that you can easily use other kinds of fruit and nuts. Use what you have at hand for example walnuts, hazelnuts and apricots. However, always remember to add medjool dates though, as they bring that lovely caramel like texture and flavor. And we want that in this fruit and nut log! Also it makes everything stick together. A very important detail.